Across the country, employers are adding employee health and wellness into their corporate culture, including many on Forbes Fortune 500 list. While wellness reimbursements, flexible work schedules, massages, and nap pods may help to relieve workplace stress, it doesn’t address the growing challenge of addiction in the workplace. Substance abuse among workers is a real problem and a different type of response is needed from the employer and coworkers to bring about a positive result. 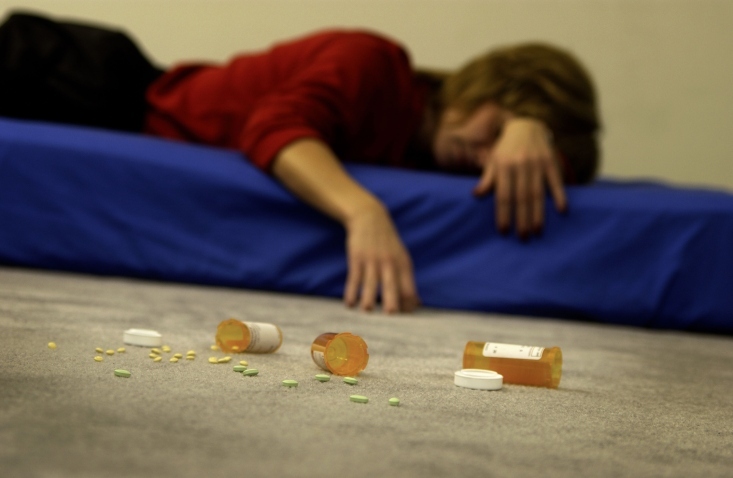 Almost 70% of businesses say that prescription drug abuse affects their workers and the National Council on Alcoholism and Drug Dependence (NCADD) states that drug abuse alone costs employers over $81 billion each year. These monetary losses come in the form of higher insurance costs, turnover rates, and absenteeism as well as employee thefts and reduced. Addiction at work also results in increased risks of injuries and fatalities, with more than 10% of workplace deaths involving alcohol. More than 70% of people experiencing substance abuse maintain at least some level of employment and nearly half admit that their work productivity suffers as a result. Beyond the spread sheet there are other significant impacts of substance abuse in the workplace. Employee morale suffers when faced with a co-worker exhibiting unprofessional behavior, poor work performance, and frequent absences. This leads to resentment among the staff, which further alienates the person struggling with addiction. The company brand can also be damaged and the business placed in legal risk if the person harms someone else. · Prohibit the use of alcohol on the premises in all circumstances, even celebrations. A strict no-alcohol policy will make a difference. · Establish and enforce substance abuse policies. These need to be clear and preferably reviewed by an attorney. The policies could and should include a process for treatment and recovery rather than punishment and job termination. · Establish a comprehensive program for treatment. This can include hiring a substance abuse advocate on staff. Companies who make this type of commitment have experienced over 90% decreases in the areas of absenteeism, on-the-job injuries, and mistakes in work. · Be proactive. Employees are more likely to seek treatment if the process is initiated by the employer and those in recovery become better workers. Each employee who recovers from substance abuse disorder saves the company more than $3,200 each year. · Consider offering scholarships for employees and others who want to enter the counseling profession. There is a severe shortage of therapists and counselors across the country, but there are also excellent CACREP accredited online programs that allow for flexibility in scheduling and learning opportunities. · Welcome the person back. Isolation can lead to depression and a break with the recovery program so be sure to include the person in basic office activities such as going to lunch or chatting during a break. Also, bring them up to date on things he or she missed while in treatment, such as a new client, project statuses, and more. · Respect their privacy. Don’t ask for details about their treatment or recovery programs and don’t gossip about the situation to others. The employee has no obligation to share their experience with you or anyone else and shouldn’t feel pressured to do so. · Let them know you are there to help if needed. While you don’t want to pressure someone to talk, you can let them know that you are happy they are back and are available to listen when and if they want to talk. After that, leave the ball in their court. · Understand that the person will have changed. Substance abuse is more than abusing alcohol or drugs. It can also affect their behaviors and personality. As a sober person, they may be very different, and that’s okay. · Be on the lookout for red flags. Recovery is rarely a straight line from addiction to sober so be alert to patterns that indicate a possible relapse. These may include leaving work early, incredulous excuses for not getting work completed, overall poor job performance and chronic tardiness. Don’t address these issues yourself. Instead, let the employee’s supervisor know that additional support may be needed. Substance abuse in the workplace is disruptive and damaging on many levels. Rather than punish the employee, identify opportunities for the employer and coworkers to support the recovery process.